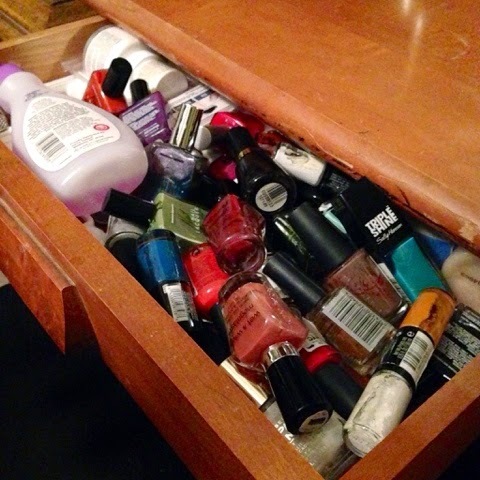 All you need is a bottle of your old polish and some nail polish remover!! 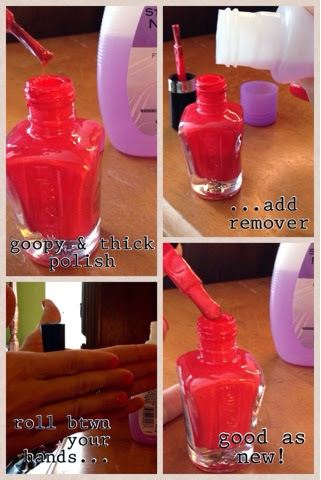 Simply add a few drops of nail polish remover to your old polish (only a few, small drops at a time. Too much can ruin it), roll it between your hands to mix (never shake a polish bottle!! !-it creates tiny, almost invisible air bubbles inside the polish and you won’t get a smooth finish on your nails). And you’ve got the perfect consistency again on your favorite nail polish.